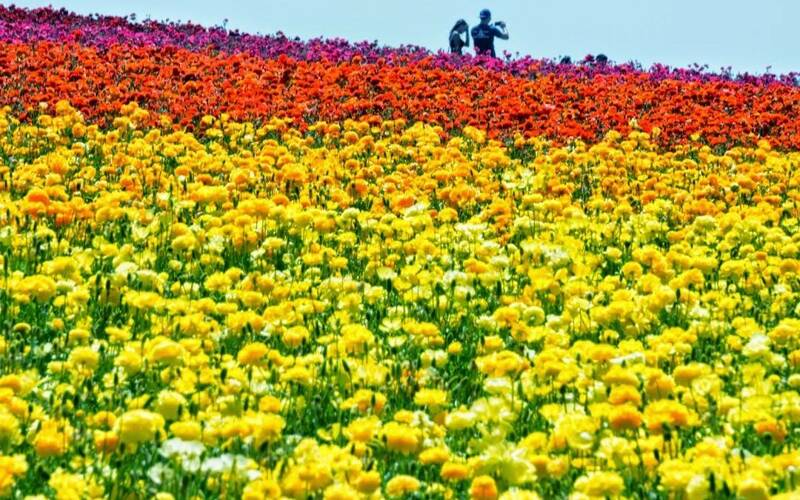 The Carlsbad Flower Fields is a destination blooming with color, energy and life! 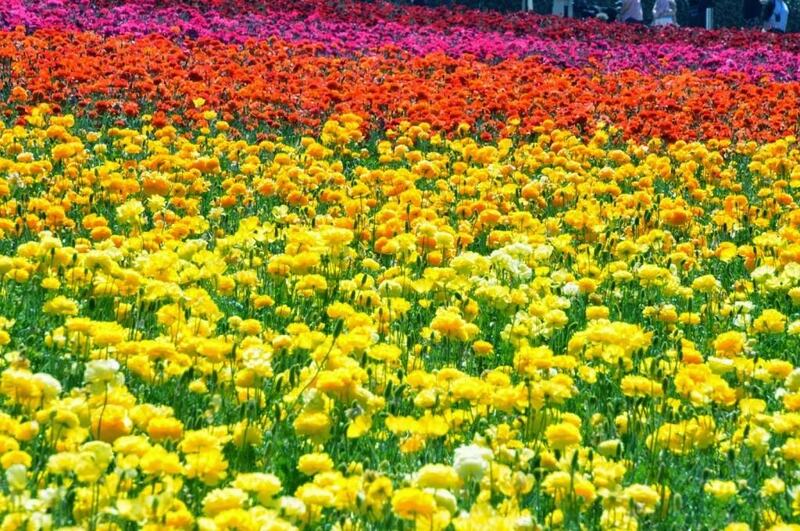 Open during the spring months from March 1 – May 10, this 50 acre ranch features several varieties of flowers from ranunculus to roses. Although the hiking trail is a fairly simple dirt road, this destination is a fun place to visit with the family, on a hiking date, or a great hike for new outdoor enthusiasts. 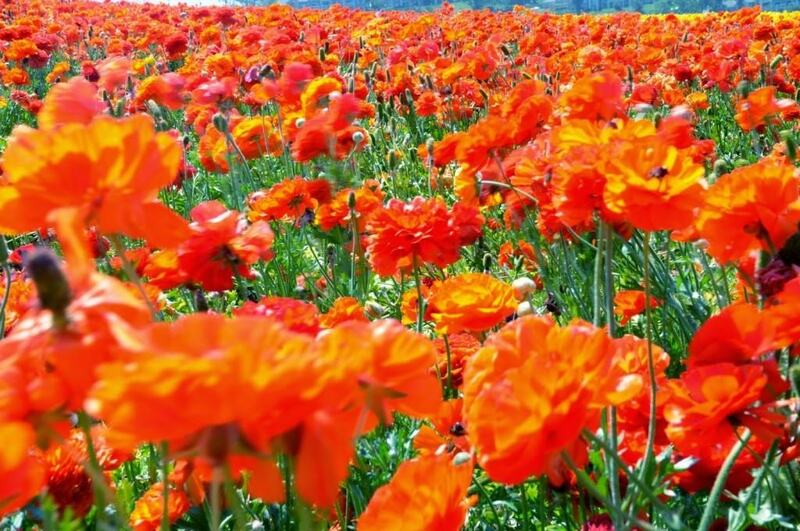 The Carlsbad Flower Fields were established in the 1930s by the Frazee family. Originally the fields featured single red and yellow flowers, but over the years expanded to include a variety of colors. 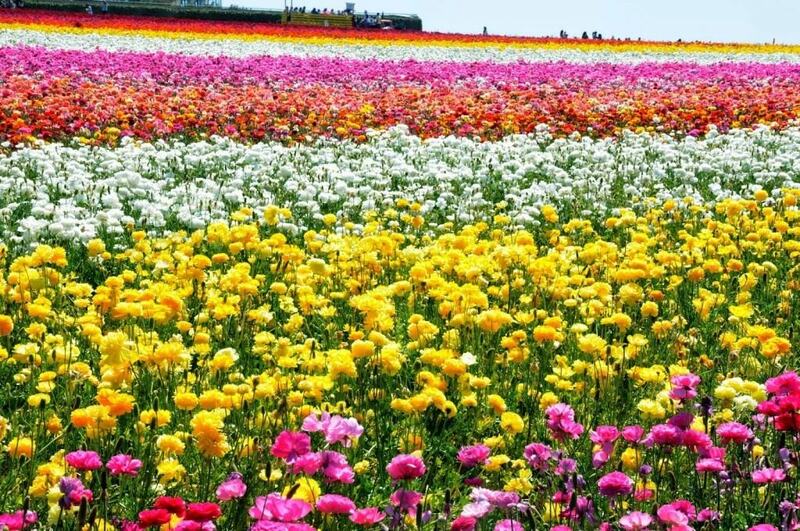 Today, the Flower Fields are visited by over 125,000 people annually and maintained by the Armstong Garden Centers. When to Go: Spring: The Flower Fields are generally open from March 1 – May 10. The Fields are a popular destination and attract large crowds on the weekend. The Go Hike It Team recommends visiting early in the day to help avoid these crowds. Dog Friendly: No, only service dogs are allowed at The Flower Fields.